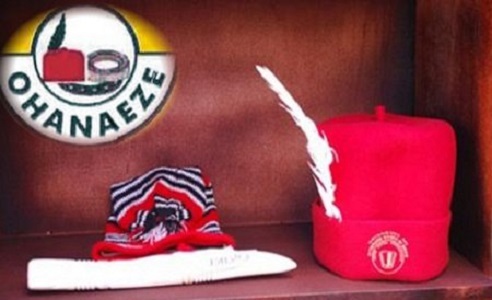 The Ohanaeze Youth Council, OYC, on Tuesday expressed outrage over a media publication claiming that it had rejected restructuring of Nigeria. Although the OYC had always clamoured for restructuring, a report emerged today, stating that it had now changed its position. The media report quoted one Igboayaka .O. Igboayaka, who claimed to be OYC publicity secretary as saying ‎that one of their reasons for the new stand was that the same politicians who mismanaged the economy of the country were using restructuring as a disguise to return to power. However, the national Deputy President of OYC, Dr Arthur obiora described the publication as embarrassing. Addressing journalists, Obiora said “the OYC ‎has always been very clear on its stand over calls for restructuring. “No long ago, we made our support clear to the South-East governors, after they proscribed the Indigenous People of Biafra, IPOB. “We made it clear that the decision was the best at the moment to safeguard the lives of Ndigbo. “We, therefore, found it shocking and uncharitable for a paid agent to disguise as Ohanaeze Ndigbo and sow this kind of discord among Ndigbo. “For emphasis, the national publicity secretary of Ohanaeze Youth Council, OYC, is Engr. Obinna Adibe. As such, the above name is fictitious and remains in the real of imagination. “May we caution seriously that it is high time fifth columnists stopped using the name of Ohanaeze Youth Council to cause disaffection in Igbo land. We shall get to the root of this matter and anybody found to be behind this would pay dearly. “The Ohanaeze Youth Council call on Ndigbo, both at home and in the diaspora to rally round our governors and other political leaders to push the agenda for restructuring to a logical conclusion”, he stated.